There are two entrances to get to the top where the Acropolis is. The main entrance, which is by the car park is more popular for the obvious reason. During the height of summer and the cruise ship seasons, that entrance gets overcrowded, so a tip is to get to the Acropolis via the 2nd entrance. Going in via this entrance is advantageous as because of its distance from the carpark, far fewer people uses it and you don't even have to queue for your tickets. Another advantage of this 2nd entrance is you will see much more than going in via the main entrance. Here you will get to see the Dionysus Sanctuary and the Theatre. Good thing was - as you climbed up, the views kept getting better and the archaeological remains got more and more spectacular. As we climbed up, we came across an amazing site, which is the Odeon of Herodes Atticus. This theatre is still used in the present day for Athens Art Festival during May to October. Finally after about a 20 minute walk, we were at the top at the Acropolis with a great 360 degree view of Athens. At the top, this is where people from both entrances crossing path. Be careful when you walk up the steps here, as the floor is made up of marble that has smoothen over loads of feet that had trodden over them. At the entrance or the Propylaea where loads of tourists are climbing their way to see the Parthenon. Finally after you get up the steps, you will see the Parthenon, the largest temple in the Acropolis and a sight to behold. Another temple of the Acropolis site is the Temple of Athena Nike. The final temple at the Acropolis is the Erechtheion. It is just amazing to be standing in such historical site. All the buildings were in around the period of 400 BC. When you get over the awe of being in such an amazing place and tear your eyes away from them, you can cast your eye to the site around the Acropolis. The view around is amazing, it is not wonder when the ancient Athenians decided to build the Acropolis where it was. 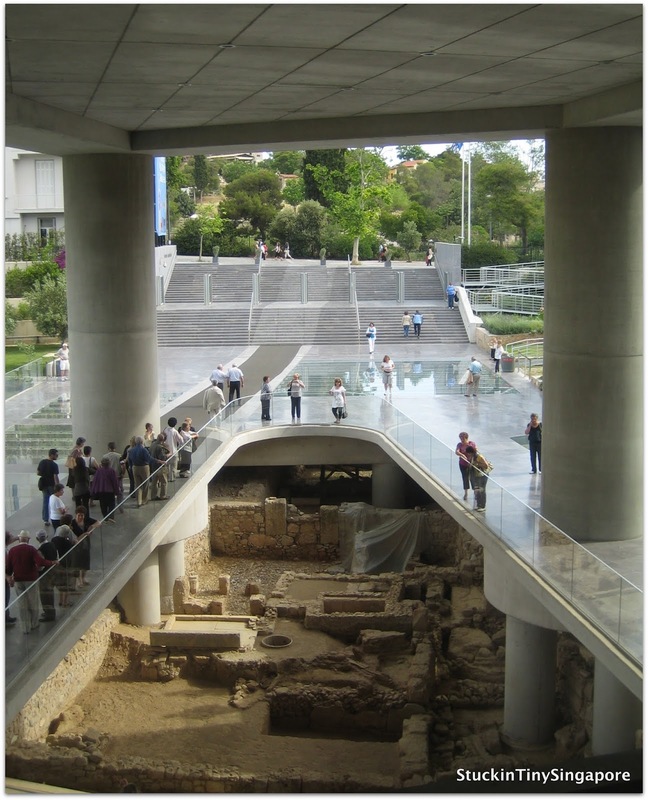 After we were done at the Acropolis, we went to check out the Acropolis Museum. It was a great way to spend a few hours, or actually even more if you are into Greek history. It is also a great way to escape the heat too. Unfortunately, no photos were allowed in there. But it is still worth your money and your time to check out some of the artifacts inside. The museum lies on the archaeological site of Makrygianni and the ruins of a part of Roman and early Byzantine Athens which you can see in the picture above. 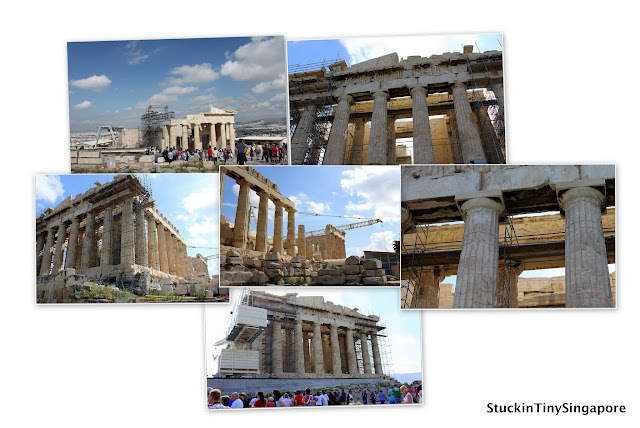 All in all, we spent a fantastic day at the Acropolis, a not to be missed when you visit Athens.